Kanbanize is a cloud-based business process management service from BusinessMap that provides lean workflow management. Kanbanize supports SMBs and Fortune 500 enterprises in more than 25 industries and from more than 100 countries. 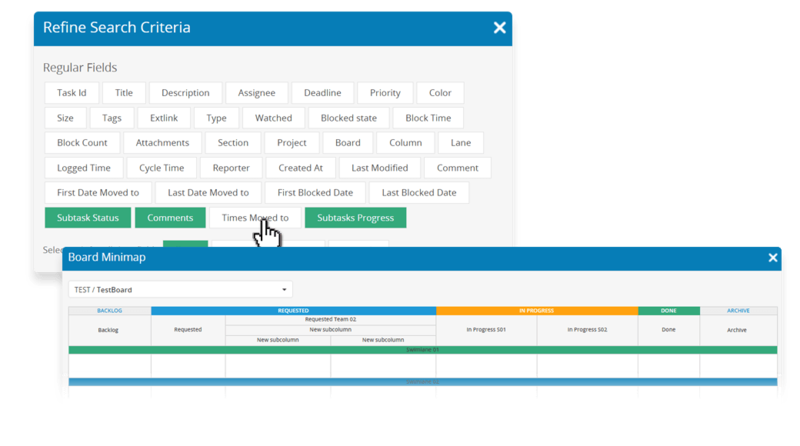 Kanbanize features include customizable Kanban project boards, collaboration tools, time-tracking, email integration, analytics and run-time policies suitable for process automation. Kanbanize is designed to help product and service teams apply the principles of Lean and Kanban to their work and fulfill efficiency goals. Kanbanize’s at-a-glance card and hierarchy systems give project managers the ability to run parallel projects simultaneously. Run-time policies include recurring cards, custom notifications, portfolio board rules and batch updates. Kanbanize’s automated reports offer lead and cycle times, efficiency, throughput and billable hours. Kanbanize analyzes and forecasts team productivity with Monte Carlo simulations in premium analytics and offers a ticketing system by combining two-way email integration. It integrates with ActionableAgile and other cloud-based sharing tools. Not sure if Kanbanize is right for you? Use our Product Selection Tool to compare other business process management solutions. Have questions? Call one of our unbiased Technology Advisors for a free consultation. Learn everything you need to know about Kanbanize. Our experts will reach out to you shortly.